The Academy has revealed that the winners of four categories will be presented during the commercial break at this year’s awards ceremony, which takes place on February 24th. The categories to be effected by this decision are Cinematography, Editing, Live-action Shorts and Hair & Make-Up. These categories will instead be taped to air later in the ABC broadcast. The decision by the Academy and ABC (broadcasters) will see two Irish nominees effected with Irish cinematographer Robbie Ryan up for Best Cinematography for his work on Yorgos Lanthimos’ ‘The Favourite’, while Irish producer/director Vincent Lambe is nominated in the Live Action Short category for his controversial film ‘Detainment’. The decision has been met with anger online with many questioning the decision to cut Cinematography and Editing, two key filmmaking awards that are crucial to the art of film. "Cinematography and editing are probably the 'elementary particles,' the primordial components of cinema. It's an unfortunate decision." "In the history of CINEMA, masterpieces have existed without sound, without colour, without a story, without actors and without music. No one single film has ever existed without CINEMAtography and without editing." #PresentAll24 has begun to feature online in an effort to united those unhappy with the decision. 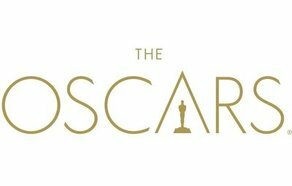 The 91st Academy Awards takes place on February 24th at the Dolby Theatre in Los Angeles.